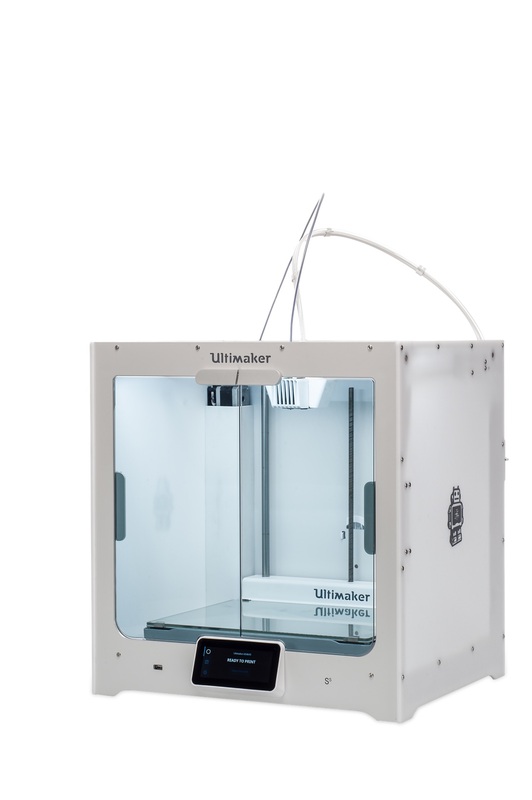 We are proud to announce our most advanced 3D printer yet - the Ultimaker S5. 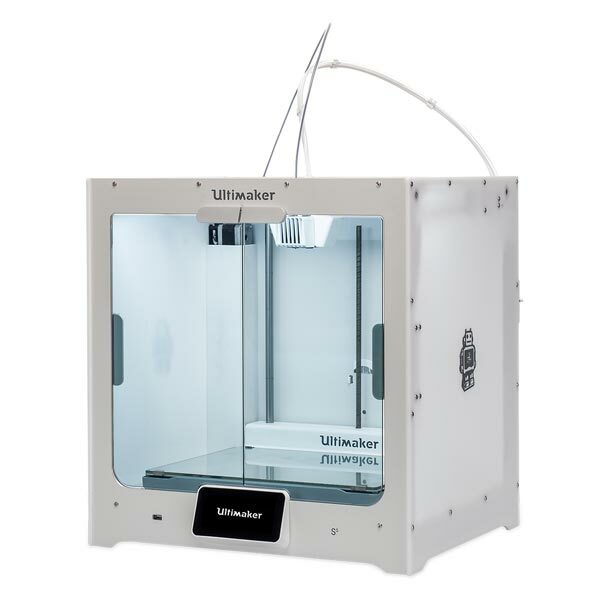 Built for the office, the Ultimaker S5 is a powerful, reliable, and versatile 3D printer that delivers industrial-class results. 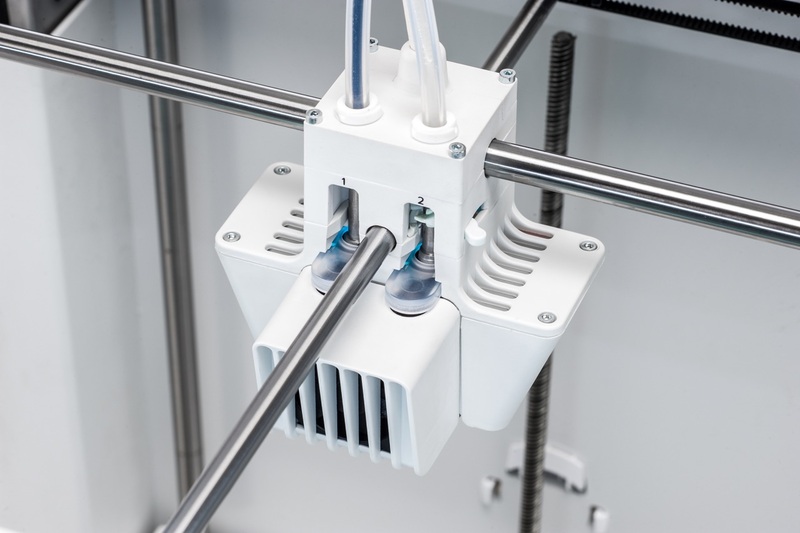 Enhanced reliability Active bed leveling ensures a perfect first layer, a closed front controls airflow, and a filament flow sensor will pause your print and notify you if you run out of material. 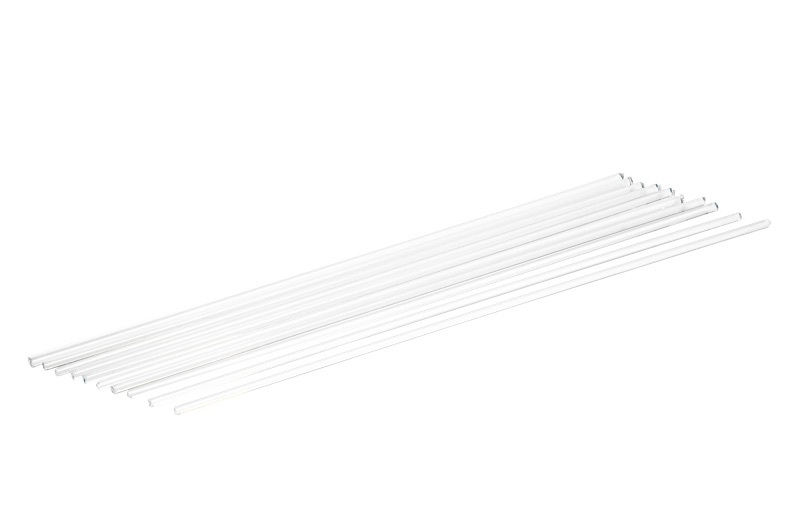 Trust the S5 to do its job while you do yours. 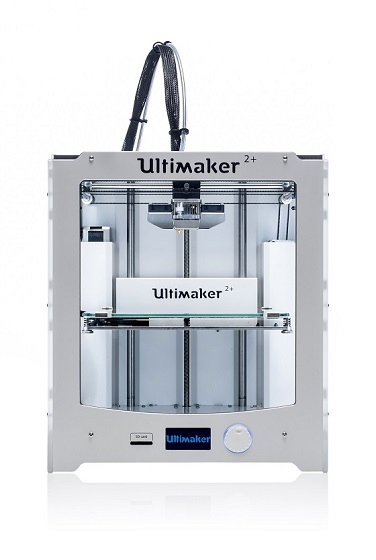 Bigger build volume A build volume of 330 x 240 x 300 mm (13 x 9.4 x 11.8 inches), combined with Ultimaker’s reliable dual extrusion and water-soluble support, gives even more freedom to realize your designs or print multiple parts in one go so you can meet demand with maximum efficiency, while fitting comfortably on your desk. 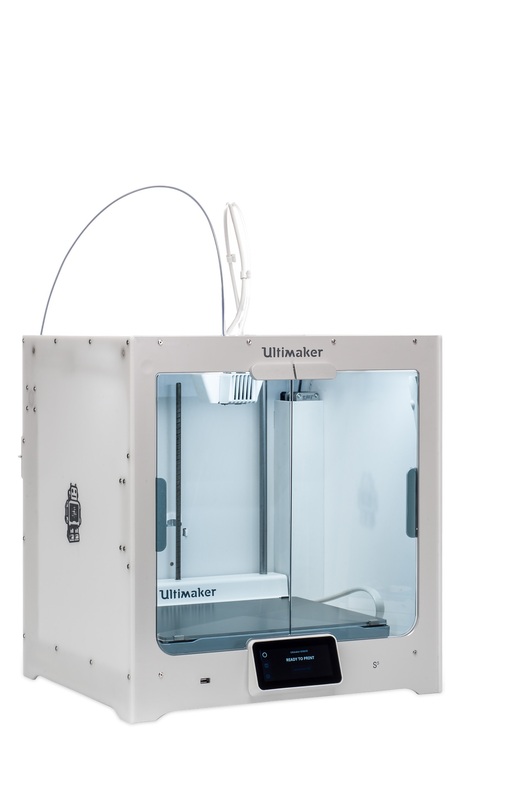 Fast setup, high uptime With Ultimaker’s unique print core design, swap nozzles in seconds to switch between build and support materials, or choose from 0.8, 0.4, or 0.25 mm print cores for fast or detailed prints. 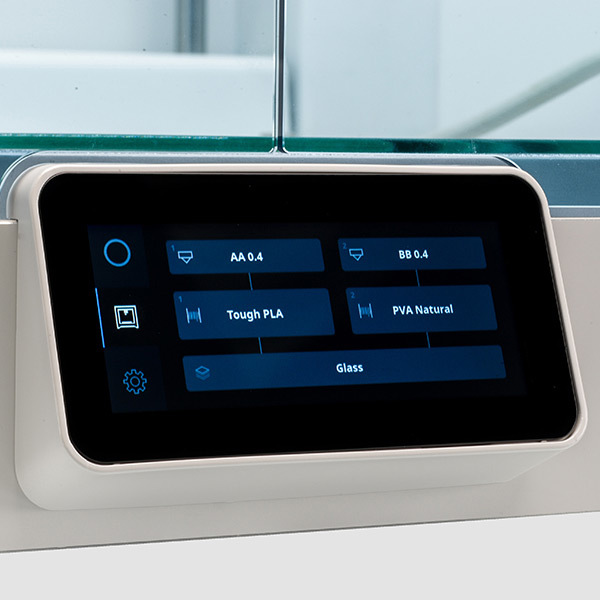 Easy touch control A 4.7-inch (11.9 cm) touch display makes operating the 3D printer effortless, displaying visual guides to explain configuration changes and maintenance, plus a visual preview of your print. 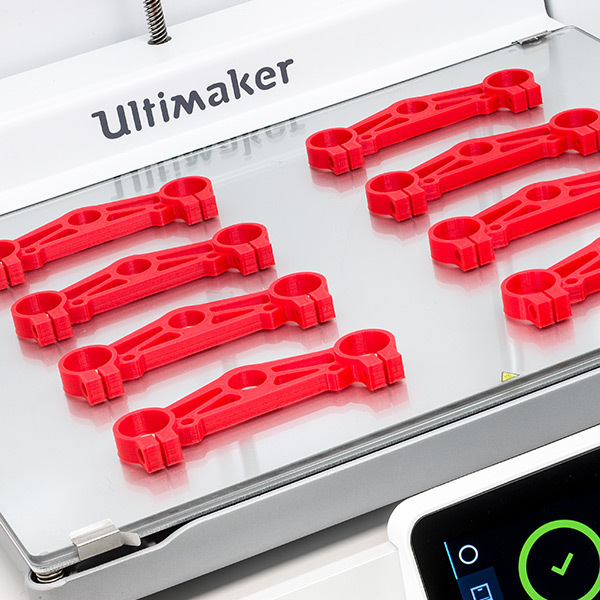 Designed to connect The Ultimaker S5 auto-detects material and print core configuration, while over-the-air firmware upgrades make adding the latest features simple. 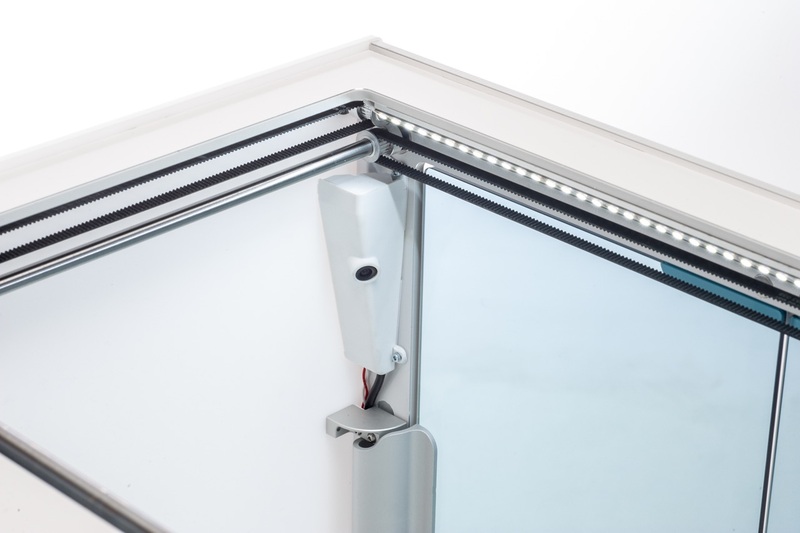 Print over Wi-Fi, Ethernet, or from a USB stick, and monitor progress via the built-in camera. 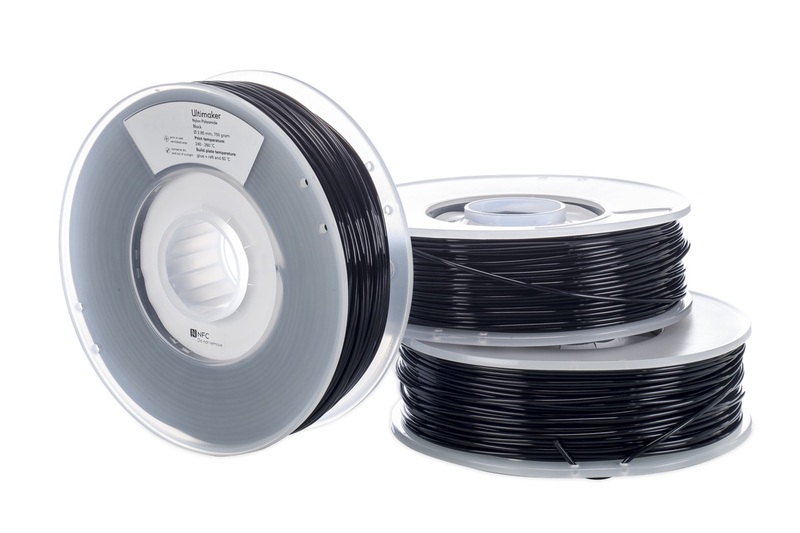 Swappable print cores enables effortless, tool-free maintenance and maximum printer uptime. 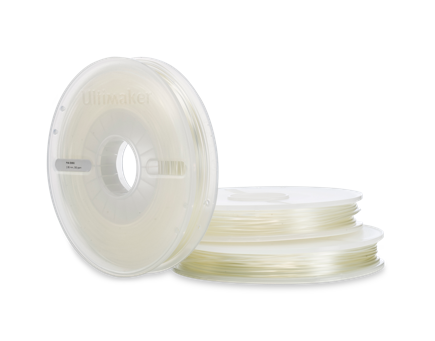 Achieve different print characteristics using different nozzle sizes, ranging from 0.8 mm for rapid prints, to 0.25 mm for ultra-fine detail. 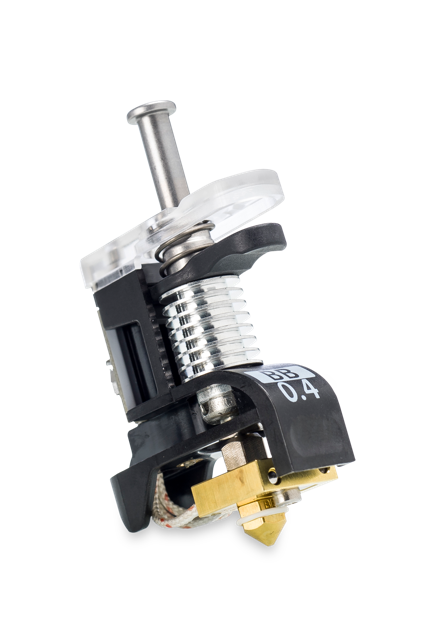 With two available print core slots in the print head, quickly and easily click in your desired combination for reliable dual-extrusion. 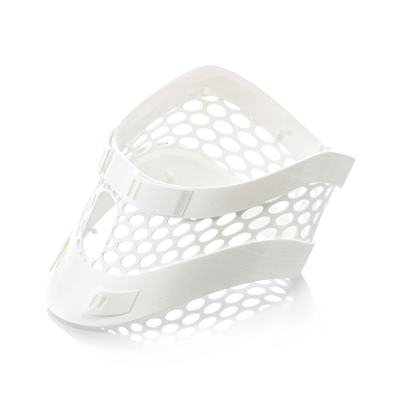 Print with different colors for aesthetic impact, or use water-soluble PVA or Breakaway support for full geometric freedom, easy post-processing, and a high-quality surface finish, so that tactile presentation models, or complex mechanical parts look polished and professional. 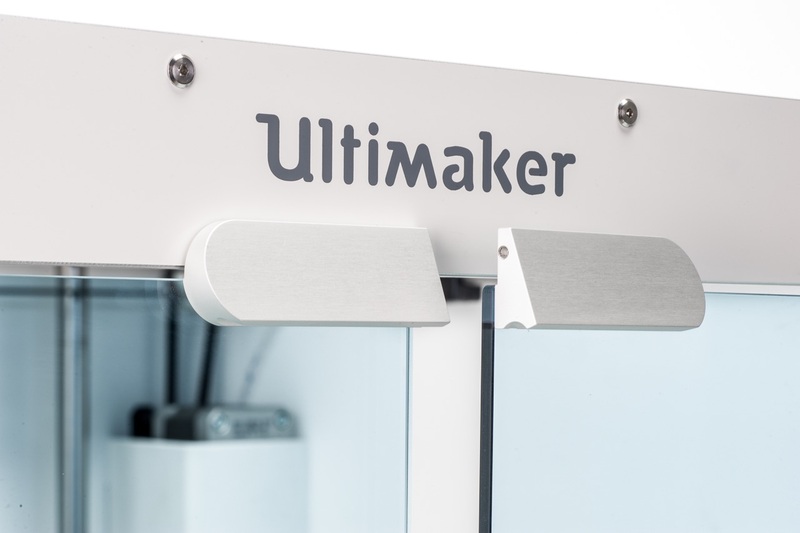 To get accurate, consistent results with a range of materials, the Ultimaker S5 uses two interchangeable build plates: hardened glass for general use, and ultra-flat anodized aluminum (available fall 2018 ) for advanced engineering materials, such as ABS, CPE+, and PC. 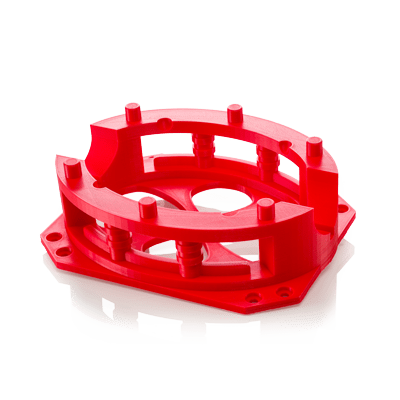 Each build plate quickly and easily clips onto an extra-stiff cast aluminum heated platform, keeping your print securely in place for the entire print duration. 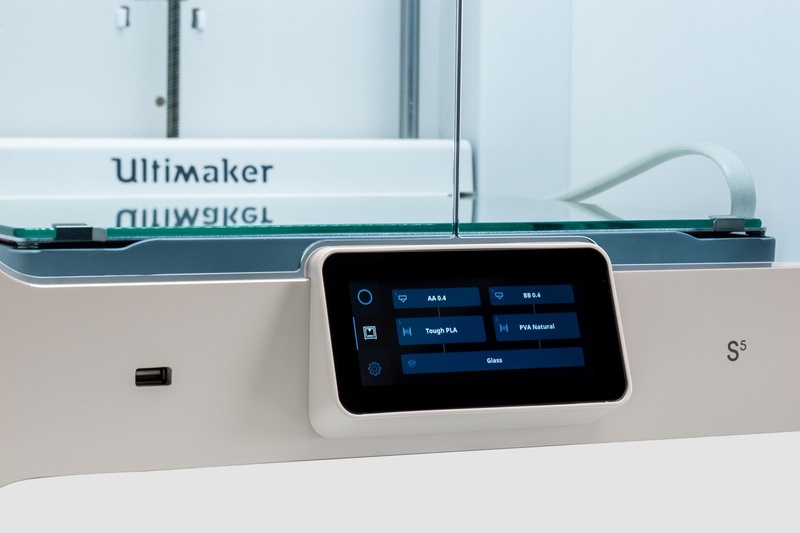 A responsive, full-color touchscreen, integrated into the front panel of the Ultimaker S5, makes operation intuitive, effortless, and informed. Swipe through menus and tap options to select them, just like a smartphone. 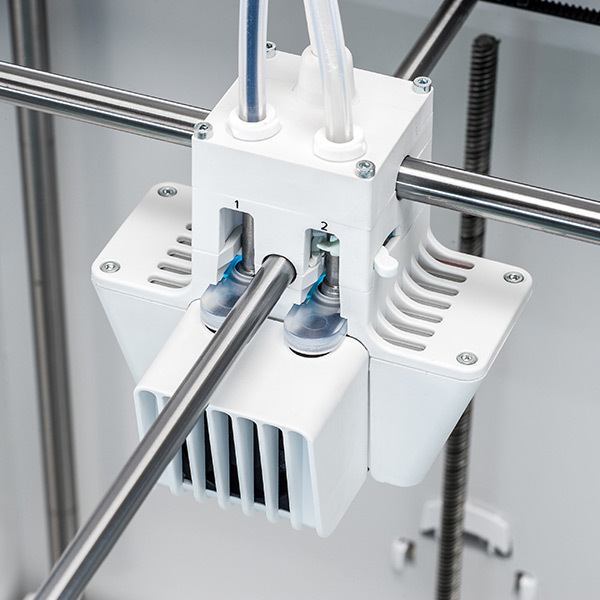 Detailed information, such as loaded materials, print cores, and the build plate and nozzle temperature keeps you up to date about jobs in progress, and a 3D preview lets you see what’s printing at a glance. 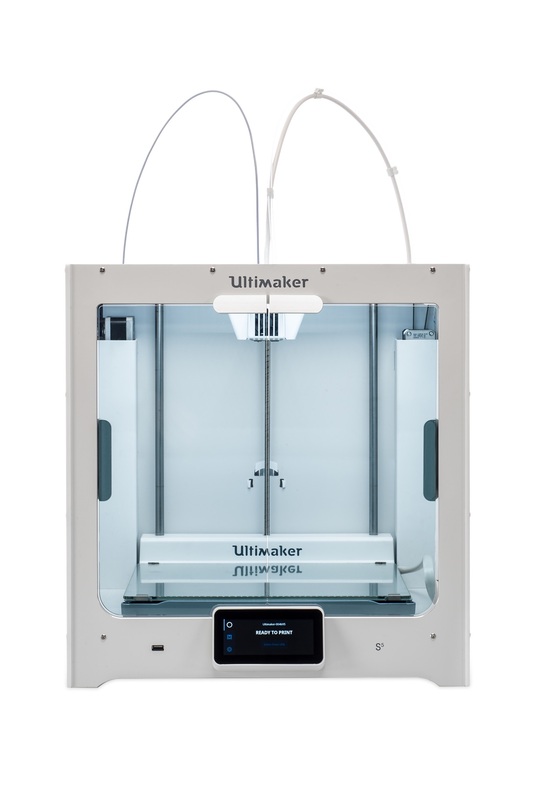 And with eleven supported display languages, including English, German, Simplified Chinese, Japanese, and Korean, the Ultimaker S5 is accessible to users all over the world. 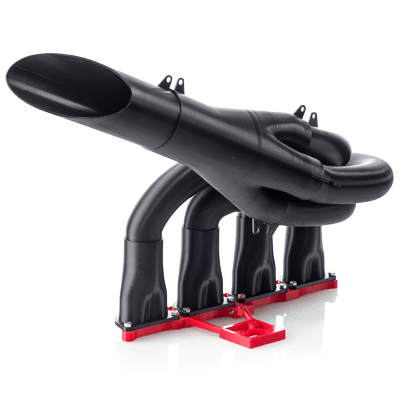 Loading, unloading and changing material is effortless, with an ergonomic locking lever built into each feeder. 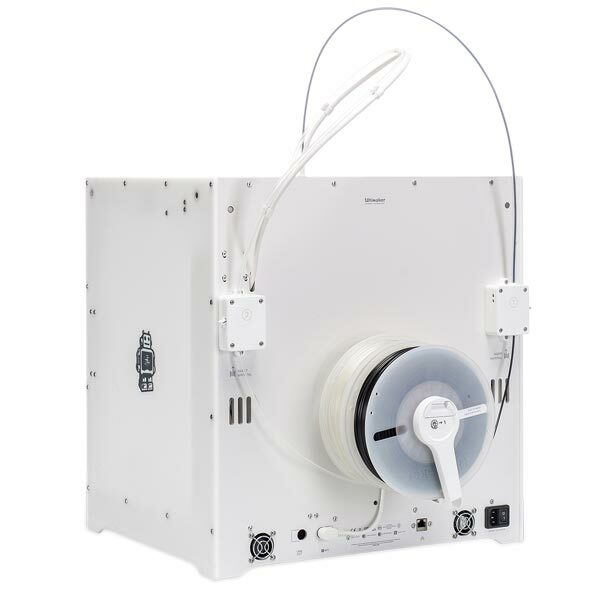 Flip the lever upwards to manually insert or remove material. 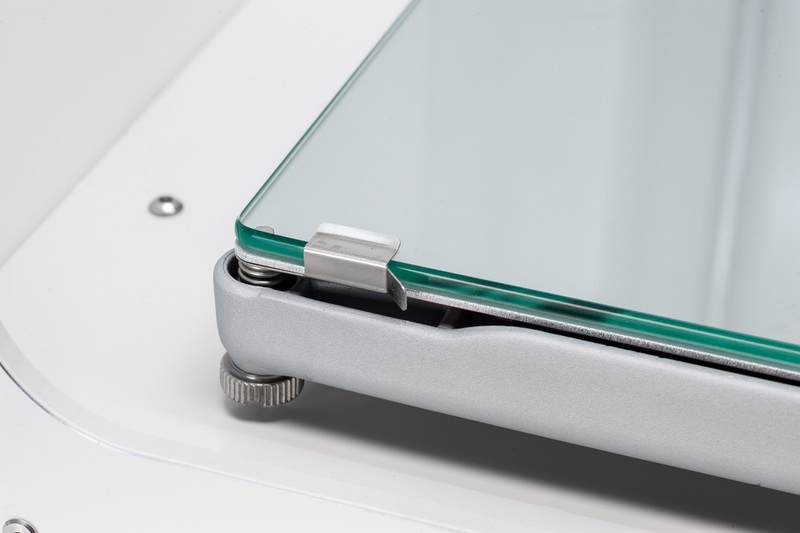 Flip it closed, and constant force is applied to the material, so it is driven accurately.